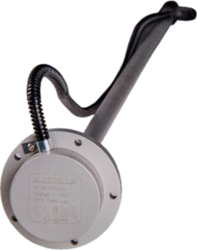 Our range of services include pressure type fuel level sensor, capacitive type fuel sensor and capacitive fuel sensor. 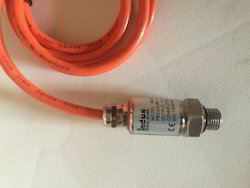 We are the star suppliers of Pressure Type Fuel Level Sensor. Clients can avail it at best market prices. External mounting on the tank. No Drilling and No welding. Ideal for Heavy vehicles like Buses, Trucks, Mini Buses, Pick-ups.Not suitable for passenger cars and construction machinery working on rocky terrain. Works best with GPS Trackers with Analog Inputs for voltage measurement corresponding to Fuel levels. We are the star suppliers of Capacitive Type Fuel Sensor. Clients can avail it at best market prices. Equipped with protective cable for the wiring to the tracking device. Ideal for Installation in Heavy Vehicles - Buses, Trucks, Construction machinery like JCB, Terex, Tata Hitachi, L T Komatsu, Poclain, Excavators, and such heavy machinery. Product already successfully installed and performing well in several of our Customer vehicles including Trucks and Construction machinery. Fuel Cost is the highest component in your Fleet Operating Cost - Ezeetraker will help you manage the Fuel Cost efficiently. We are the leading suppliers of Capacitive Fuel Sensor. Clients can avail it at best market prices. Packaging Details: 2 sensors packed in one Box. Package Includes Capacitive Fuel Sensor, Connecting Cable with protective cover, fastening screws, seal for the sensor. Looking for Fuel Sensor ?